Fred, the author of Going Global: An Expert’s Guide to Working Abroad in the International Fitness Industry and the recipient of the 2007 IDEA Fitness Instructor of the Year Award, has been working in the fitness and health industry for thirty years. A registered respiratory therapist, he holds a Masters Degree in Health Education and is certified by the American College of Sports Medicine (ACSM) and the American Council on Exercise (ACE). Fred was born in the USA and attended university in Boston which is also where he began his career. He has been living in Paris, France since 1989. Fred is the owner of Fitness Resources, an education and consultancy company, which specializes in staff training, professional career development, social media strategies and marketing solutions for health clubs, fitness centers, boutique studios and personal training companies. Fitness Resources also provides expert services accompanying fitness companies with the launch, rollout and international market development for their educational programs and/or products. Fred is a member of the Board of Directors of the American Council on Exercise (ACE). He is also an ambassador for UFIT (Universal Fitness Innovation and Transformation) and a member of the American College of Sports Medicine (ACSM) Health & Fitness Summit Program Committee, From 2013-2016, Fred was a member of the American Council on Exercise (ACE) Industry Advisory Panel. Fred’s enthusiasm and expertise have taken him to nearly 50 countries on six continents to speak at over 200 conferences and conventions, present workshops and master classes, conduct staff training, and serve as a consultant on various projects. He has authored numerous articles and has appeared in over 160 international journals, magazines, newspapers, and e-media. Fred is a four-time finalist for the ACE Group Fitness Instructor of the Year Achievement Award, and in 2001 he was elected to the International Who’s Who of Professionals. Fred has collaborated with numerous companies and organizations on a variety of diverse projects. Since September 2017 Fred has been working as an advisor to SoulBody Barre for their international market development. In Spring 2017 he worked as a social media consultant for the OECD Annual Forum, managing a team of volunteers during the event. In 2016 Fred worked with Sveltus France to create a foundations program and user manual for the Elastiband, the company’s signature product. In addition, he created a full-day Elastiband training course for fitness instructors and personal trainers. Fred was the European Education Coordinator for BOSU from 2013-2015 and in 2014-2015 was a lead consultant for KeepCool, a large chain of fitness clubs in France. Previous positions that Fred held include the International Education Development Director for Batuka and the Director of International Services for Club Synergy Group, a network of award-winning specialists in the health club and spa industries. Beginning in 1991, and for more than 2 decades, Fred collaborated with Reebok in numerous capacities. These included Fitness Marketing Consultant, Team Manager and National Master Trainer for Reebok France, and Global Master Trainer for Reebok International. 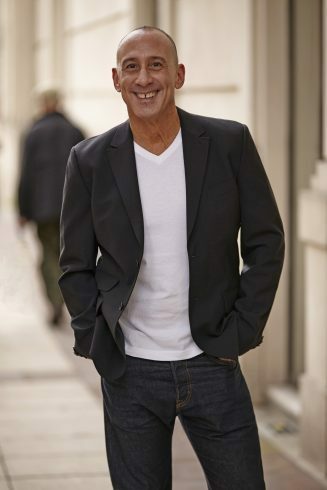 In 2005 and 2006 Fred held the position of Fitness and Lifestyle Director for Buddha-bar Spa, where he played an integral role in the development of the company’s first Spa. In 2004 Fred completed a 7-month mission in Moscow as the Fitness Director for the Reebok Sports Clubs in Russia. Fred Hoffman is one of the great treasures in the world of health and fitness, a true pioneer and leader who has done it all in this field. Global teacher, conference presenter, training expert, consultant, writer, and now social media expert, Fred is a man of many talents. Plus he is a wonderful person, who I had the privilege of working with on the ACSM Health & Fitness Summit Committee for a number of years. Because of his grasp of the industry, and experience in professional development, Fred’s voice was always respected, and right on with his recommendations and observations. There aren’t too many fitness professionals who have the background, knowledge, and experience of Fred Hoffman.